This past weekend Dave and I camped out for the first time together. We went to a park nearby called Alabaster Caverns. We were kind of excited that no one else was there camping. The quiet camp site was so nice ... until the boy scouts arrived that is... : / oh well. The evening started off cloudy but when I woke up in the middle of the night, the sky was clear as could be and the big dipper was smack dab above our tent. I love the big dipper! I had a big craving for burgers so that is what we took for our camping dinner. I mixed some diced onion, pepper, Lawry's seasoning salt, liquid smoke and some worcestershire sauce (I hate trying to pronounce that stuff...) into the ground beef. We put some jalapeños, tomato and cheddar cheese on these big bad boys and bam! They were so good! The next morning we hiked. The hiking was pretty good except for the muddy, slippery, death slope Dave took me up. The spider (and my imagination) made it a death slope! I was calm the whole time screamed and cried and had a 'cone of shame' moment. Sunday morning we attended church. Church here is so good and I'm grateful God led us to such a great church. He loves them so much so that he took me to 2 of them this weekend. 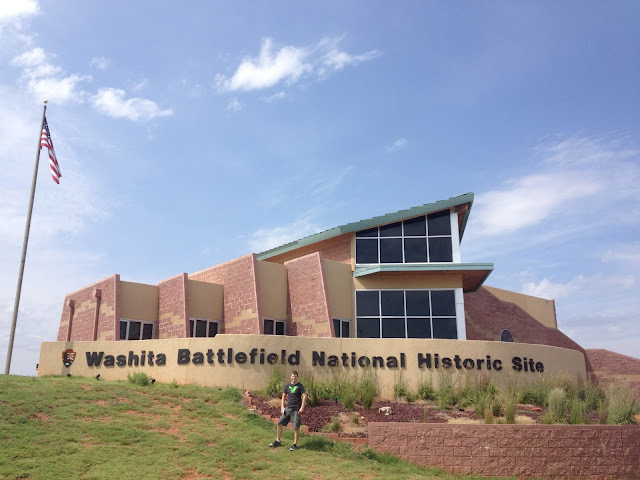 We also toured the Washita Battlefield site where the US Calvary and Native Americans fought. Dave loves loves loves museums and history. I told him he likes to read 99% of all the signs in the museum and I like to read 1%. However, I'm learning to like it and I read more than I thought I would. The self guided battlefield had lots of interesting stuff and was my favorite part. 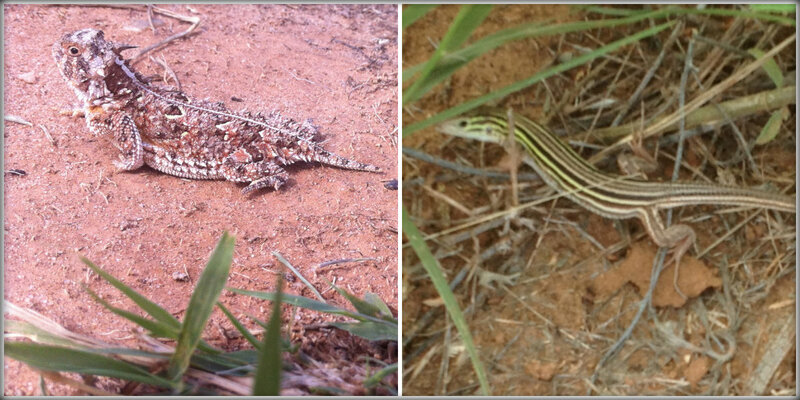 Here are some little friendly lizards Dave found along the way too. Looks like you two had a nice weekend! That burger looks and sounds amazing! I had a burger this weekend with an over easy egg on it for the first time! That was delicious! Worcester is pronounced 'Wuster' in England, and 'Worcestershire' is pronounced 'Wustersher', but for some reason, 'Worcestershire Sauce' is pronounced just 'Wuster Sauce'.... However you pronounce it - isn't it good? ?